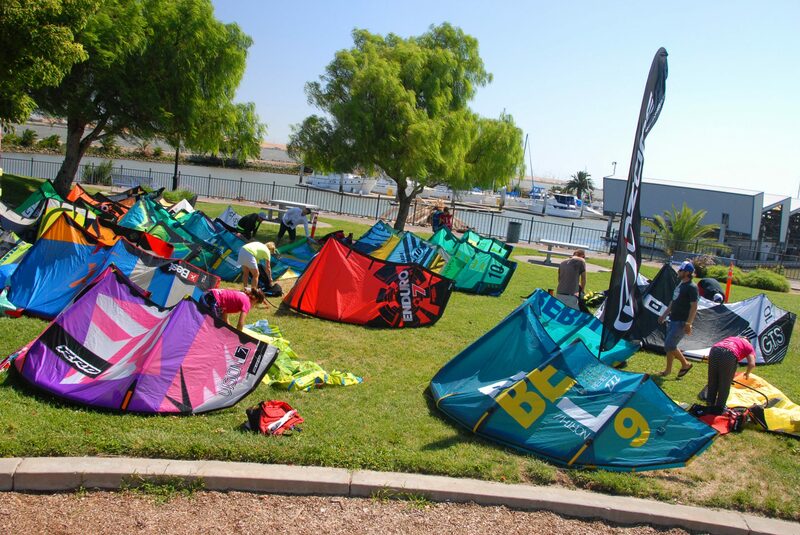 Riverview Park is a popular kiteboarding launch for experienced / professional kiteboarders. 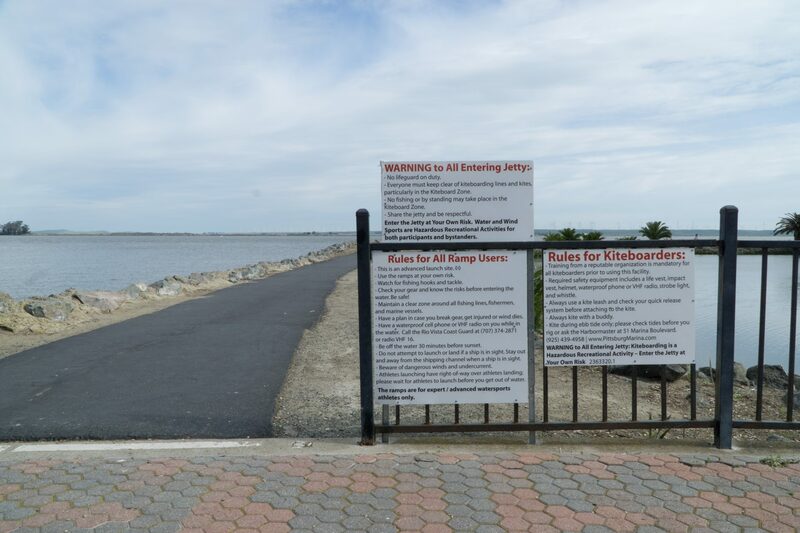 Consistent winds, self-launch assist posts, viewing bleachers, parking, restrooms, and rigging areas, make Riverview Park a popular site for kiteboarders and windsurfers. The site hosts the Delta Board Meeting kiteboarding competition every year, bringing in kiters from all over the world. Due to the launch location on top of a riprap levee, which allows little margin for error during launch and landing, this site is for experienced kiters only! 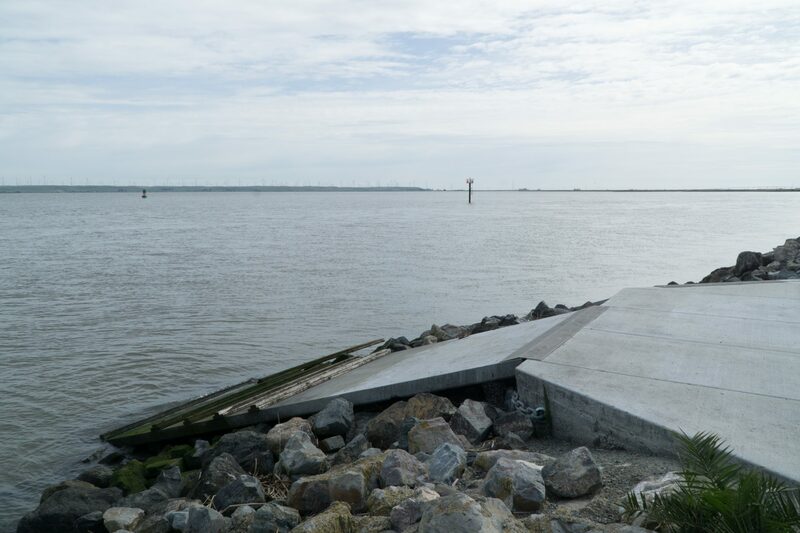 Water access facilities at the site cater towards kiteboarders, and include two ramps that lead from the top of the levee down to the water. Kiteboarders are able to rig on the top of the wide levee and there is a sandy shoulder area that provides sufficient width for laying-down kites. 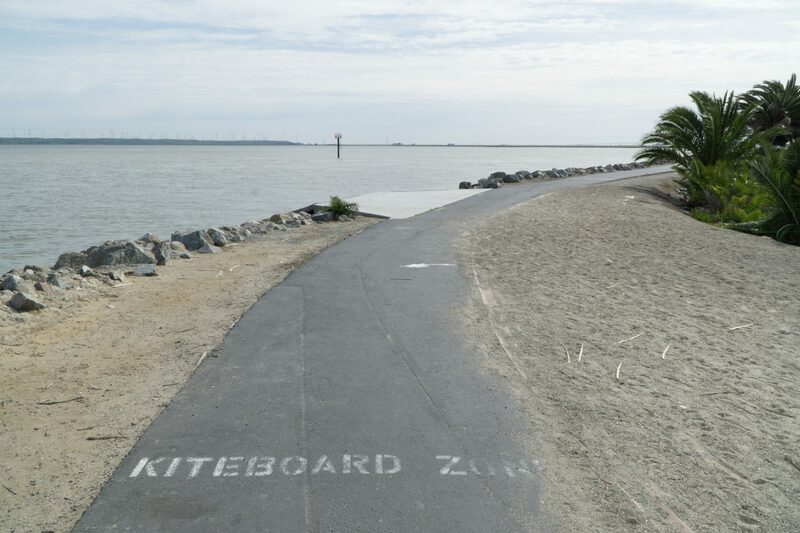 Along the path near the launch “kiteboarding zone” has been stenciled on the path, letting others know that kiters have priority in this area. There are two launch assist posts to help with self launch. 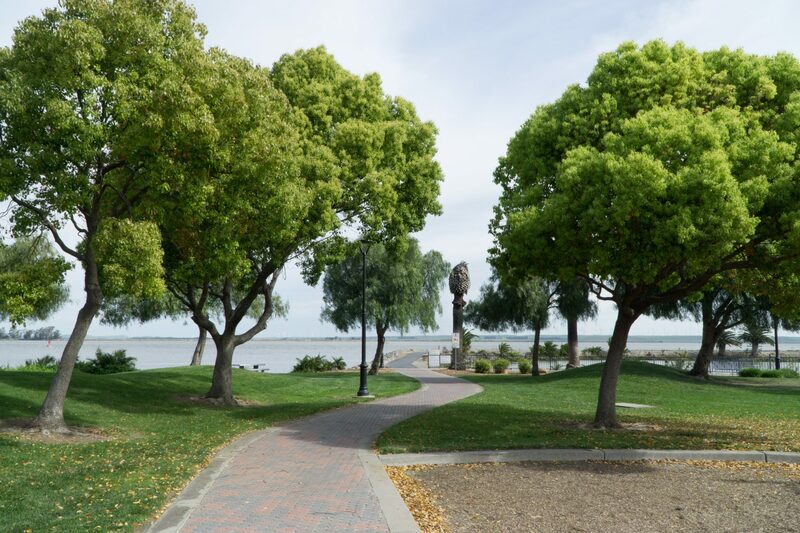 Riverview Park is a 4-acre park located along the edge of the San Joaquin / Sacramento River. There is a large picnic area with five picnic tables and a large bbq pit. 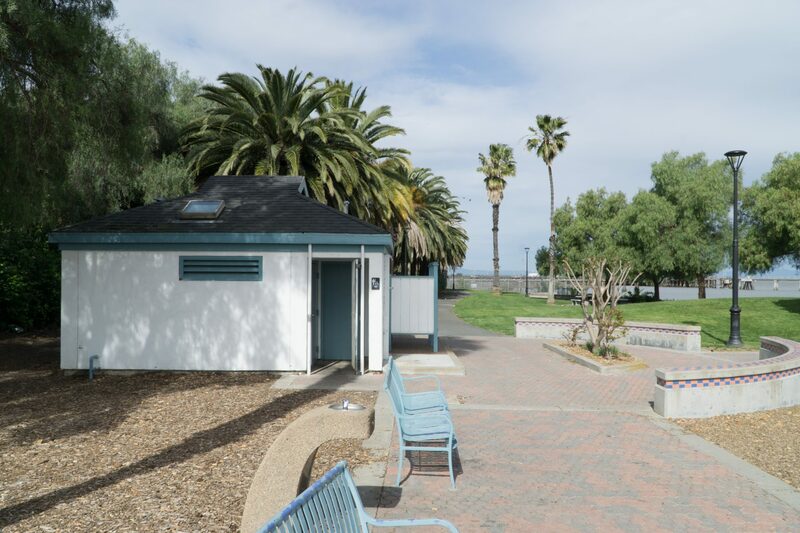 Additional facilities include restrooms with an outdoor shower, lawns, a playground, and walking trails. 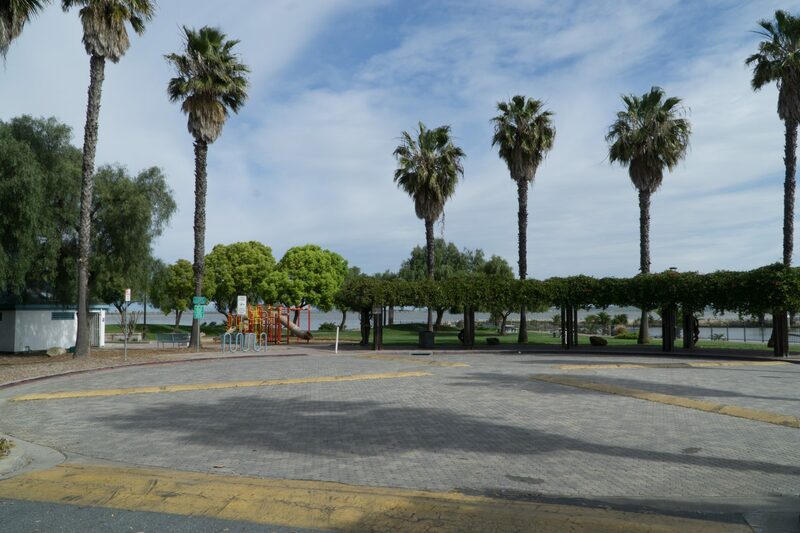 Riverview Park is located at the end of River View Park Drive off of Bay Side Drive, to the east of the Pittsburg Marina.  The onsite parking includes approximately 50 public parking spaces, including two ADA spaces. ADA compliant restrooms with running water and an outdoor shower. 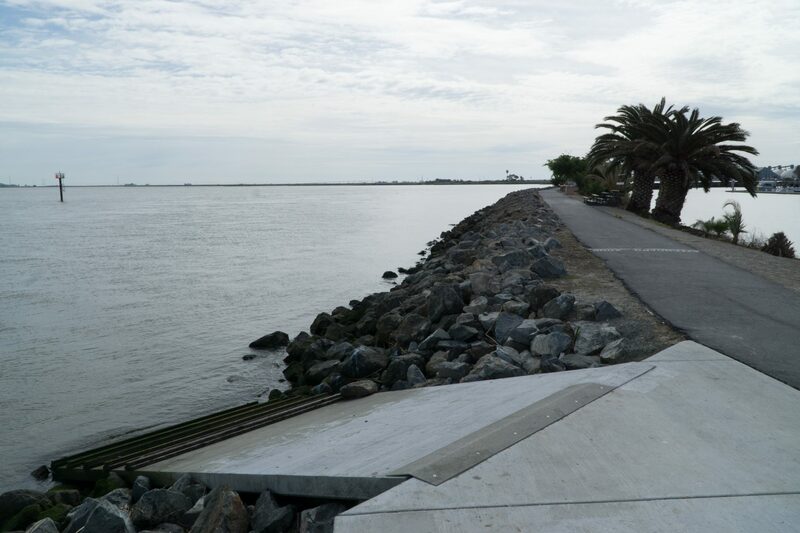 Water access consists of steep access ramps over the riprap jetty, which are not accessible. Other park features, including restrooms, parking, and paths through the park are ADA accessible. Kiteboarders and windsurfers should maintain distance from wildlife while on the water and avoid approaching or disturbing rafting birds. Additionally, sensitive habitats occur along nearby shorelines and islands so boarders should be sure to stay out of marshes and other sensitive areas.